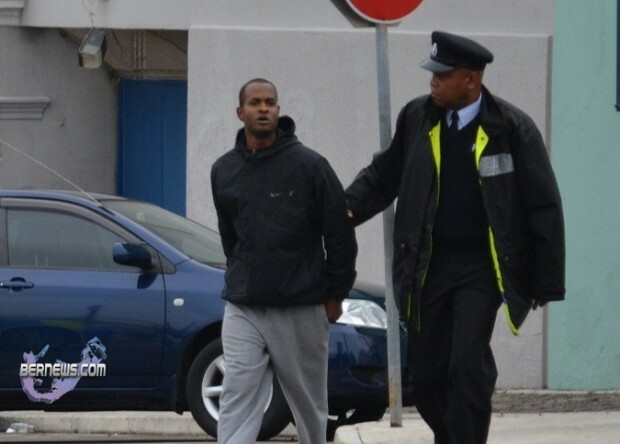 This morning [Mar.31] Shiloh Payne appeared in Magistrates Court in connection with the stabbing of a 57-year-old man earlier this month. Mr Payne, 26, was charged with with unlawfully wounding with intent to cause grievous bodily harm in a public space and within 300 yards of a school, and possessing an offensive weapon – a sharpened screwdriver. In opposing bail, the Crown alleged he had continued kicking and stabbing the victim even after the victim was lying on the ground; that he was prevented from dropping a concrete block on the victim only because bystanders had intervened; that he might interfere with the victim because he and the victim live in close proximity. Lawyer Richard Horseman argued that Mr Payne lived with his mother and was an out-patient from MAWI said to be under treatment. Magistrate Archie Warner ordered that Mr Payne should be remanded into custody until 14th April when he will re-appear for mention. The case can only be tried in Supreme Court. The incident occurred at approximately 12:30pm on March 20, 2011, and the victim, a 57-year-old Sandys man, was stabbed repeatedly outside a residence on Pleasantville Lane in Sandys. He was rushed to hospital where he was placed in the Intensive Care Unit. Mr Payne remained at large to the following morning [Mar.21], when Police arrested him at round 6am at a Sandys parish residence. I don’t understand how individuals can be out-patients from MAWI. Wouldn’t this make him a threat to society? I wonder how many out-patients from MAWI living in my parish? Someone screwed up, and now this man has to suffer. Not all outpatients are dangerous. Most people with mental illness are harmless. MAWI is understaffed and underfunded, and that is the reason they cannot adequately treat everyone who needs it, which results in unfortunate incidents like this. Most outpatients are harmful only to themselves, which is why MAWI lets them *be* outpatients. Perhaps if the victim was killed, people would change their attitudes….It’s disappointing that we have to wait for the worse in order to motivate us to make a change. Hi, Hello? The people at MAWI are human beings too!! Although they may require treatment from time to time, and categorized as an out-patient, they are an individual just like you. Rehabilitation is a process, and in order for people from MAWI to be accepted as a funtioning member of society, they need to be out in society! Nobody swcrewed up, there are many factors that may have contributed to the youngs mans actions! & i don’t at all excuse his actions, but before you start pointing fingers you need to get the whole story! Isn’t prison for rehabilitation, too? LIKE I SAID BEFORE, WESTGATE WILL NOT HELP THIS GUY….OGGHH….SOCIAL WORKERS PLEASE STEP IN!!!!! My late grandmother used to say, “There’s more “out” than “in”. I think she’s right… I feel safer around those MAWI patients than I do around a lot of these fools runnin round here! !